A mix of springtime color for your knitting! 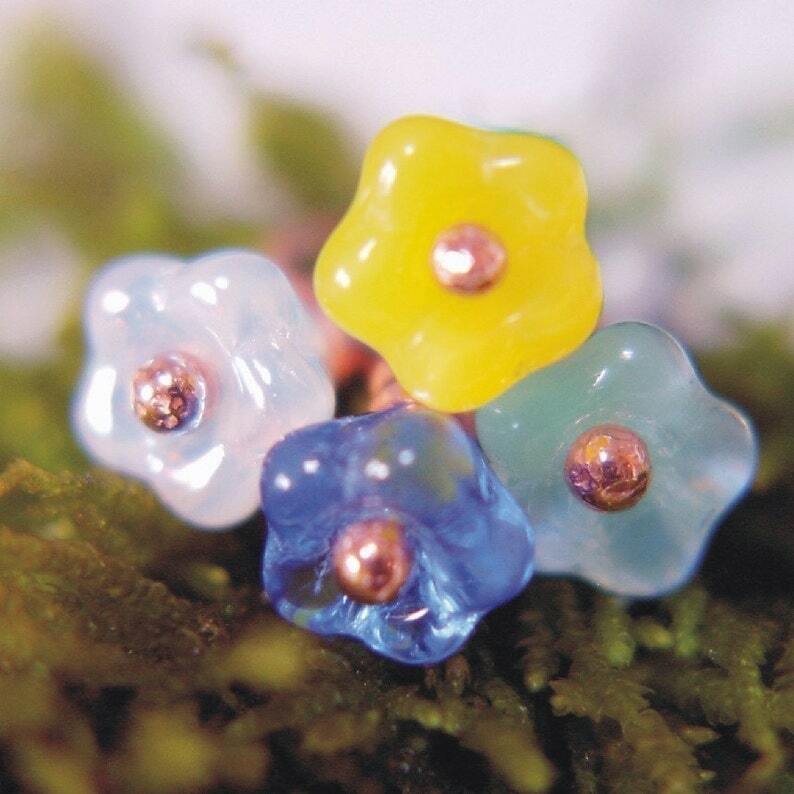 You are purchasing a set of (4) four different color copper wire and Czech glass bell flower bead stitch markers. Buttercup yellow, sapphire blue, lustrous milky white and a transparent green. SpindleCat Studio stitch markers are individually hand wrapped, tumbled and inspected here on the premises. We take great pride in working with handmade copper headpins. All wire ends are carefully beveled and wrapped close to loop stem to make your marker a smooth, snag-free beautiful tool that friends will admire and you will enjoy using. Even more gorgeous in my hand than it is on the monitor. Love it! !